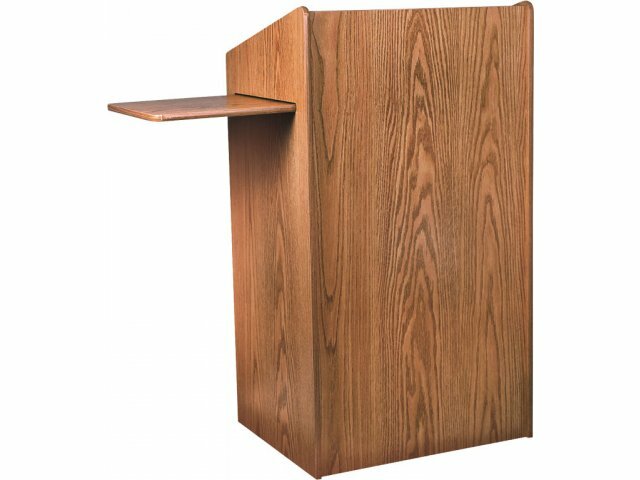 A floor lectern should be used as a tool for making a presentation that has impact. 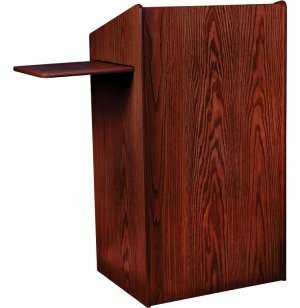 This model floor lectern has a professional look and is loaded with special features than come in handy when trying to communicate with a crowd. 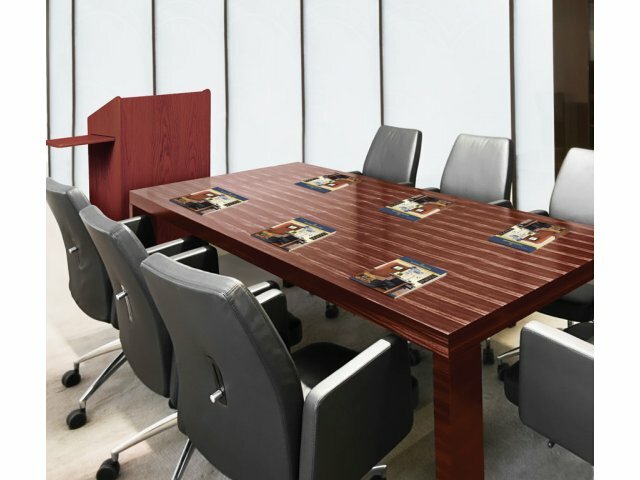 The wood design is designed to be both attractive and durable. Inside there is a lot of storage divided into two separate sections by an internal shelf. 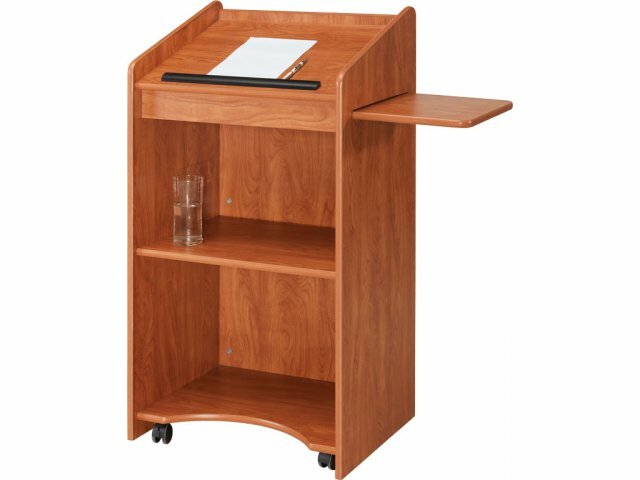 One great feature of this floor lectern is the sliding side shelf. 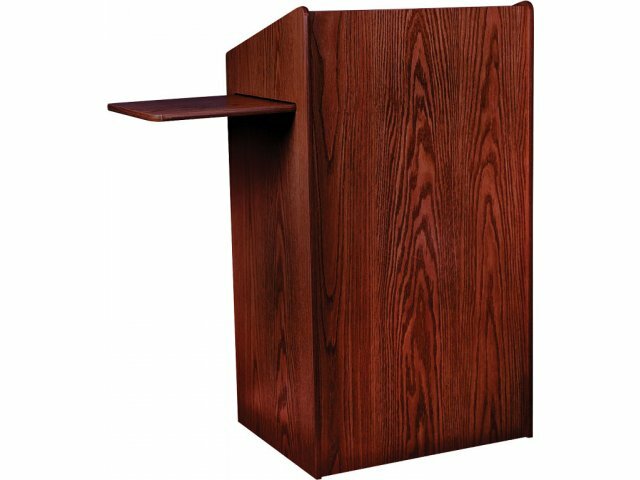 When you need to use it to hold items such as a laptop or audio-visual equipment, just slide it out and position your items either facing the audience or facing the speaker. When you don't need it, it folds conveniently out of sight. 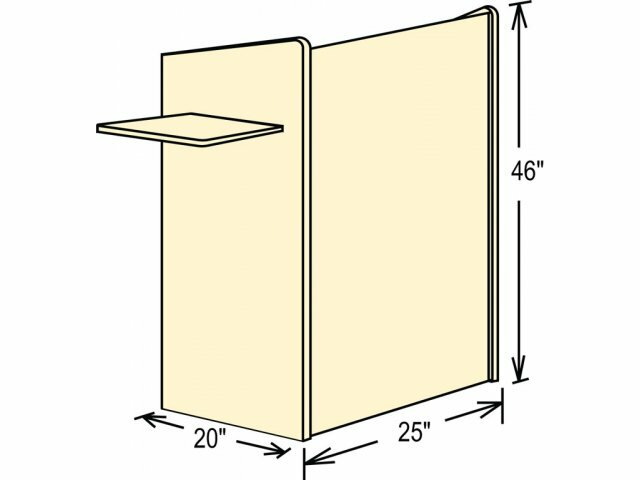 Two Built-In Shelves and One Side Mounted Slide Out Shelf.